Submitted by Migrate Wizard on 2014-08-17 17:47. 1- Extract the ".dds"files into your "My Documents/Neverwinter Nights 2/Override" folder. This is a texture replacement. It replaces the clothing Textures, all of those with untintable areas (Which would always be light-brown or gray) they are now Color #2 or 3. Previously they could not be tinted because they had no tint-mapping on those areas. Also, those areas will now be whichever color was not adjacent to the untitnable section of that item. 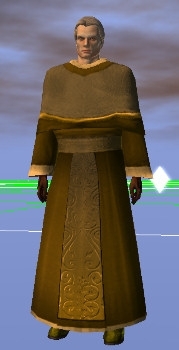 Also, no things like the Monk's Sash are tintable which would always be brown before. This will automaticially work in the Official Campaign, any user created moduless and online. 1.3 - Updated Cloth_10's previously red gradient to use colors 2 and 3. 1.2 - Cloth Helmets now included. 1.1 - Removed the use of the "Red" channel, which wasnt working as expected and replaced it's use with whichever color was not adjacent to the peice of the texture. Redid the Alpha channels on the textures, so now it will work in the editor as well as in the game. 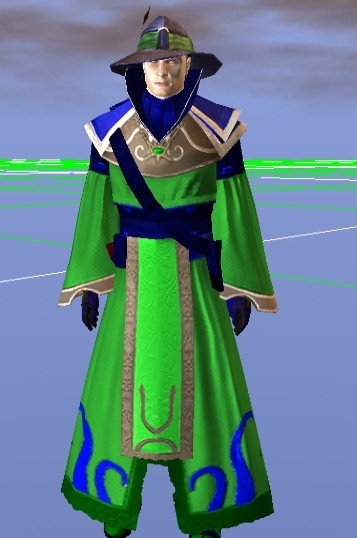 Adjusted the Monk Clothes texture to have the Sash and Bracers use the belt's color instead of being brown. By downloading and installing this you agree to the following. 3) You WILL read the Readme.